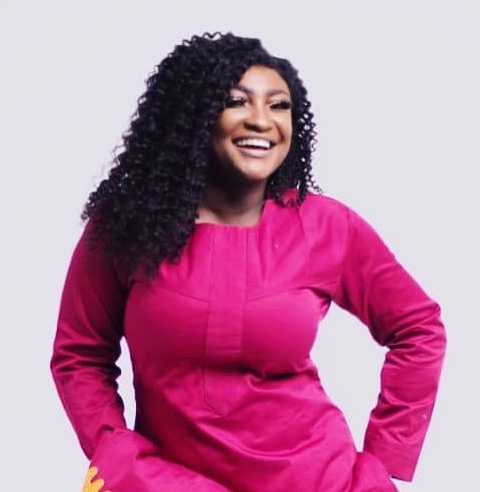 Ghana has seen some great Female Media Personalities like Anita Erskine, Gifty Anti, Doreen Andoh, Jessica Opare-Saforo, Naa Ashorkor, Deloris Frimpong Manso, Nana Aba Anamoah, Berla Mundi among others. Though these personalities are still going in hard with their careers, there’s a crop of new emerging faces which by their works, shall soon become household names like these personalities mentioned. A FameBugs editorial team after a thorough monitoring and review of some suggested “Hot & Fast Rising Female Ghanaian Media Personalities” by some of our 46k plus followers, has listed the following young personalities as the Top 10. Also known as @SolaceTheSiren on social media platforms, Solace-Rose works with Media General Company, owners of TV3, 3Fm and Onua Fm. She is a News Anchor for TV3’s News 360, Midday Live, Morning News and selected bulletins on TV3’s radio Station 3Fm. She is also a substitute host for Mid Morning Show, Urban Blend and Drive time show Easy Stream on 3fm. Outside Tv & Radio, Solace-Rose is also an MC, Voice Over Artist. She describes Stage presenting as her first love because she started off at age 10, MCing Funworld & Kidderfest till 2004 at the National Theatre. Solace-Rose produced a number of jingles/ads. Her favorite jingle , she says is the MTN 20th Anniversary song, which She co-wrote and sang. Since 2005, Solace-Rose has lent her voice to promote major brands such as Vodafon, Airtel, Tigo , Ecobank, Geisha soap, Pepsosent etc. 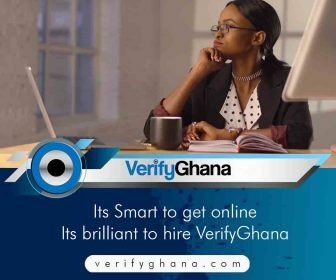 and was the voice of Viasat 1 ghana from 2012. Till date, Solace-Rose has over 500 voiceovers , in English Ga and Twi, under her belt. The Labone Secondary School alumna, now holds a 1st Degree in Social Work and Philosophy, a Diploma in Social Administration all from the University Of Ghana. The 25-year-old bubbly Journalist works with EIB’s GHOne Tv. Ann as called by many, hosts couple of shows on the T.V Station such as “Timeless Love – Live Chat” among others. 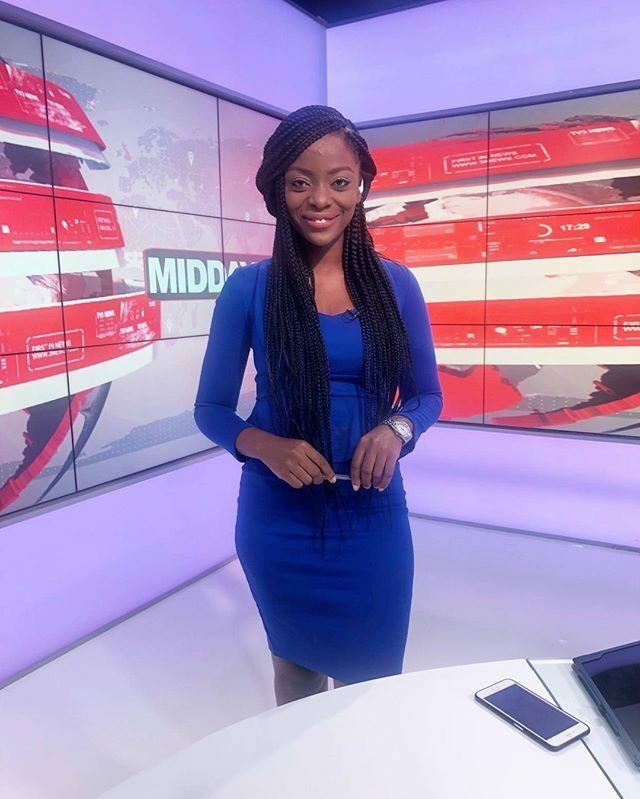 As a trained journalist, Ann has recently added News Reporting to her portfolio and has since been creating some captivating news stories for GH One Tv’s prime news Bulletin. Anita Akuffo is also a Co-Host of the Miss Malaika Ghana Beauty Queen reality show. She also mounts some stages as an M.C and in this respect, she’s been co-hosting Miss Malaika Grand Finale since 2016. Outside her niche in the media, Anita works with other brands in terms of advertising. Ann is notably the face of GTP Nuvo. Her career started after partaking in Miss Malaika 2014 where she ended up as a Top 10 Finalist. Not long after the competition, she got on board as the host of FashionGh, a fashion show. A show which resulted in her breakthrough as a force to reckon with in Tv Presenting. Miss Akuffo is a GIJ graduate and holds a 1st Degree in Journalism from the school. Ann wouldn’t love to box her growth and vision around one role model so she told us she has none. Favorite Quote: “Be Faithful In Small Things Because In Them Lies Your Strength”. 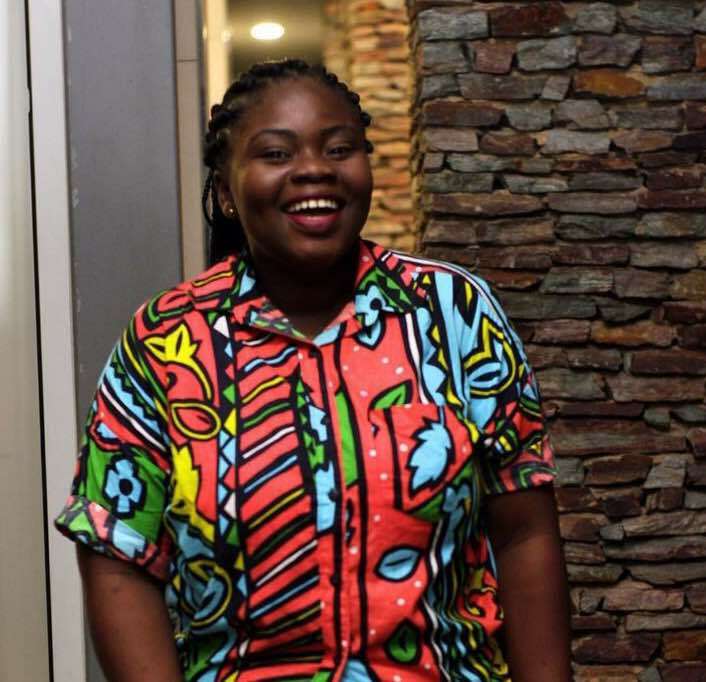 Born Lordina Obeng, she needs no introduction among the Ghanaian youth on social media especially the Snapchat community. Popularly known as Abena Moet, she is a Radio host on Okay Fm’s “Total Showbiz” on Abeiku Santana’s “Ekwanso Dwoodwoo”. She also hosts “Freaky Funky Friday” on the same station. Being part of the Despite Group family, she also serves as an Entertainment News Presenter for Peace Fm and also a regular Showbiz panelist on Neat Fm. Abena Moet simply realized her media career via social media, particularly snapchat where she’s considered a star on the platform. Apart from the “slay” which she’s also known for, Moet is loved for how she interestingly lives her life realistically on the platform and entertaining her followers with her dramatically open-mindedness which many find hilarious. She tells us “I’ve always been an extrovert and quite loud”. Through it all on social media, Abena got noticed and got called to bring her fun on to the traditional media space to entertain a larger audience on Radio and now we here. The 25-year-old who studied Management and Computing at the Regent University passes to be an actress but she hasn’t explored the field yet as her Radio career keeps growing at a faster pace. 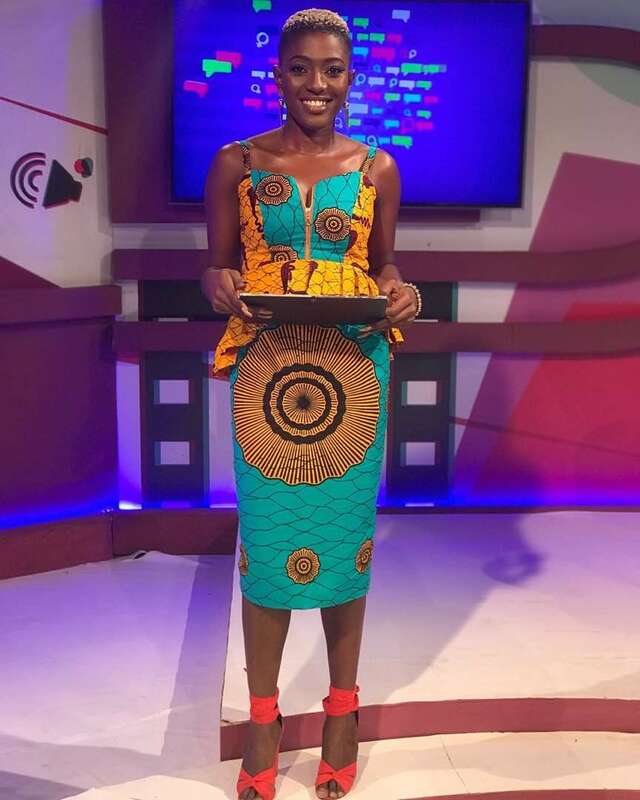 The 27-year-old is a newscaster with Citi Fm and on the new Citi Tv. She reads Citi News at 6 and 20/20 News on Citi Tv. Before joining Citi Fm, Zoe had an internship at Ultimate Fm and later had her National Service at Tv 3. Growing up, Zoe wanted to be a Medical Doctor so in Secondary School, she offered the high school Science programme. However, after WASSCE “ I saw the passion for science evaporating. I found myself warming up to media and communication as a result of my dad’s influence, who encouraged me to continuously monitor the various media platforms to be abreast with current affairs” Zoe told us. Following that new growing desire in her, she later enrolled at the Christian Service University College to study Communications where she majored in Broadcast Journalism. Zoe’s Goal: “To produce stories that are result-oriented, life-transforming and initiate positive change in communities. In the next five years, the name Zoe Abu-Baidoo should be a household name as a result of compelling stories told through various communities and individuals as my contribution towards the continuous growth and development of Ghana”. She is the co-host of Y Fm’s “Step Into The A.M”. Building her brand name as Dorothy Cornelius, the 25-year-old is also a Photo Model and an Actress. Her first job as a professional actress is featuring in “Grey Dawn” a movie directed by Shirley Frimpong Manso. Dorothy had a childhood love for showbiz, particularly in the film circles. In primary school, she participated in Miss Kiddafest, where she chose acting and dancing as her talent to showcase. The Y Fm Presenter actually started off as a Tv Presenter for Starbuzz GH. but I had a problem finding my way or mastering my craft. So I stopped working and I really sat down to really plan very well”. She Continued that the challenge was her trying to excellently master being an Actor and Tv/Radio Presenter all at a go. 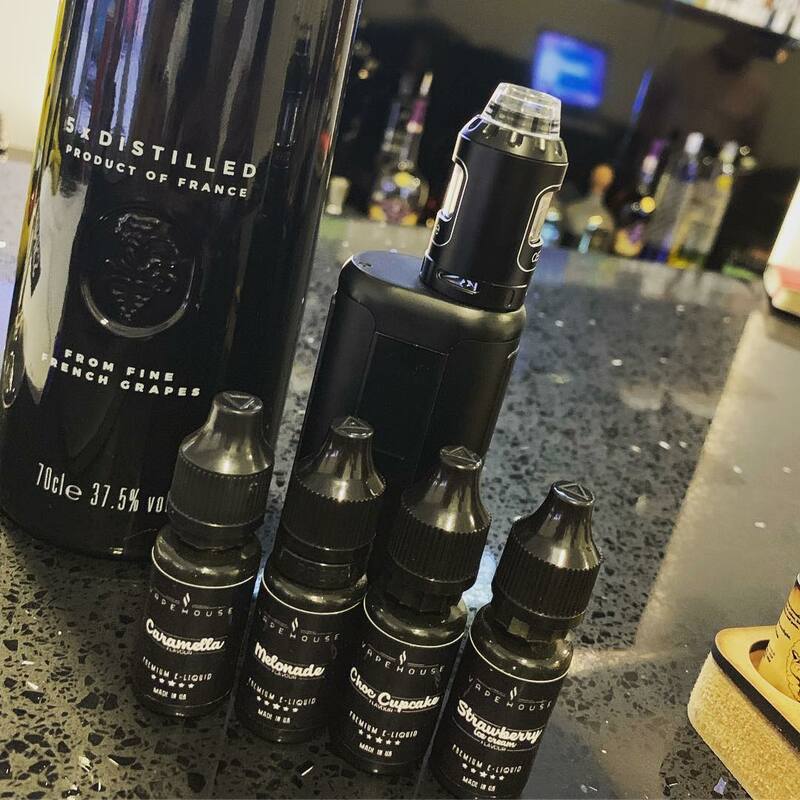 “An advice from one friend who has so much experience in showbiz advised me to pick one among the 3 and invest in it, build my brand around it and with time the rest will fall in place. I chose to pursue Radio because it came easier, Tv is very difficult font get it twisted at all lol” she added. Following this advice, Dorothy Cornelius is now a Presenter on Y Fm and she’s hitting glass ceilings with her craft. Dorothy holds a 1st Degree in Psychology and English from the University of Ghana. Dorothy’s Goal: “To be the voice of change in my generation. Change in the right direction, where we as youth can learn to believe in ourselves and potentials. So as not to put ourselves in a box”. The fast-rising media personality hopes to be a Philanthropist whilst empowering and teaching girls how to succeed. Role Models: Anita Erskine and Genevieve Nnaji. Popularly known as Gayobi Achawa, she is one of the trailblazing new personalities in the media space. Achawa co-produces and hosts “My Area Code” Tv reality show for over four years now. Also cutting a path as a media-entrepreneur, she is currently producing and hosting “Tour d’Afrique avec GAYOBI ACHAWA” – a web-based travel show where Achawa travels around the world, mostly African countries and showcase the uniqueness and culture of whichever country she visits. The Global Citizen as she loved being called, has traveled to 15 countries and volunteered in about 10 of them and currently teaching Francophone Students English in Sénégal. 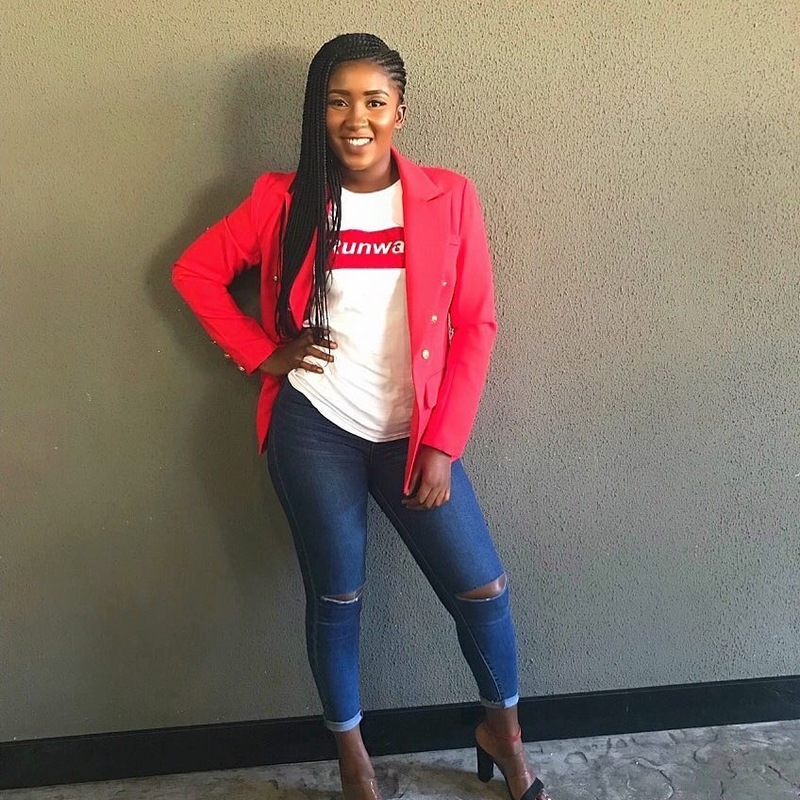 Outside the media fraternity, Gayobi runs her own charity foundation “Gayobi Achawa Foundation” which focuses on touching lives of people in the areas of health, welfare, sanitation, sports, and education. Her work in the latter has fetched her the accolade as Ghana Senior High School personality of the year by the Education Service. She is also the CEO of Daffodils Communication, a company which is into marketing, Events, public relations and advertising. 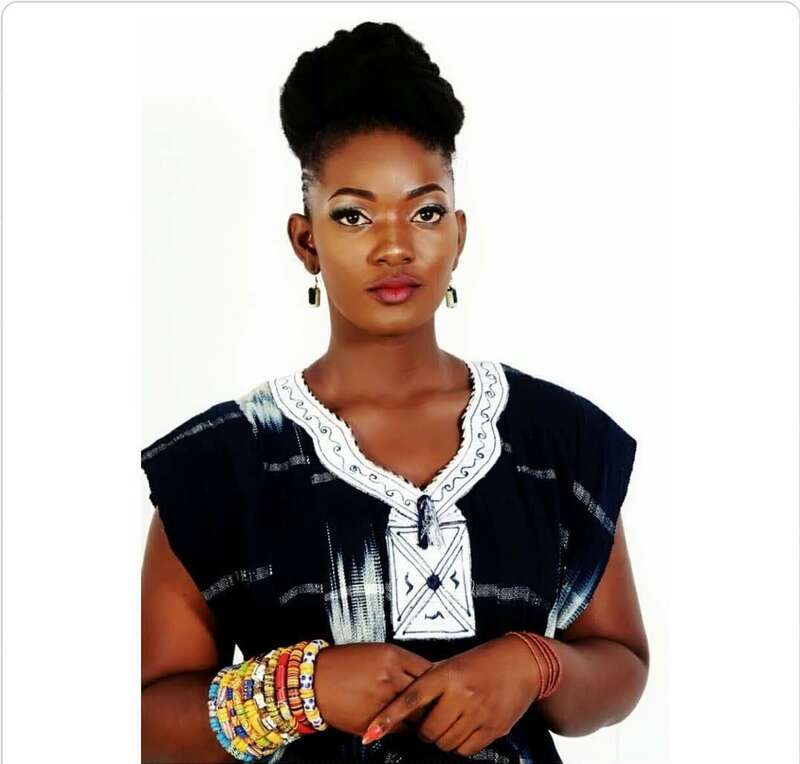 Achawa’s media career kicked off after she represented the Greater Region at TV3’s “Ghana’s Most Beautiful” Pageantry show. She credits one Mr. Daysman Addo who gave her the opportunity to host and co-produce My area code reality TV show. The 24-year-old who speaks impeccable french is a product of Cegep Marie Victorin (Canada ), Ghana Journalism University and presently studying, Linguistiques french major at Saite Marie de Hann in Sénégal. Favorite Quote: “Nothing in this world is impossible when hearts and Minds are put to it”. Lerny was “The Oceans Entertainment Box” host on Oceans TV. The 26-year-old also hosted “The YOLO Hangout” on TV3 and she’s got a new show coming up in a some few weeks. She is also an MC and a voiceover artist. As a voiceover artist, she lends her voice for ads/promos. If not in the media circles, Lerny is an Entrepreneur, Makeup Artist and an Actress. She’s one of the pretty faces in Yvonne Nelson’s “Heels and Sneakers” Tv Series. 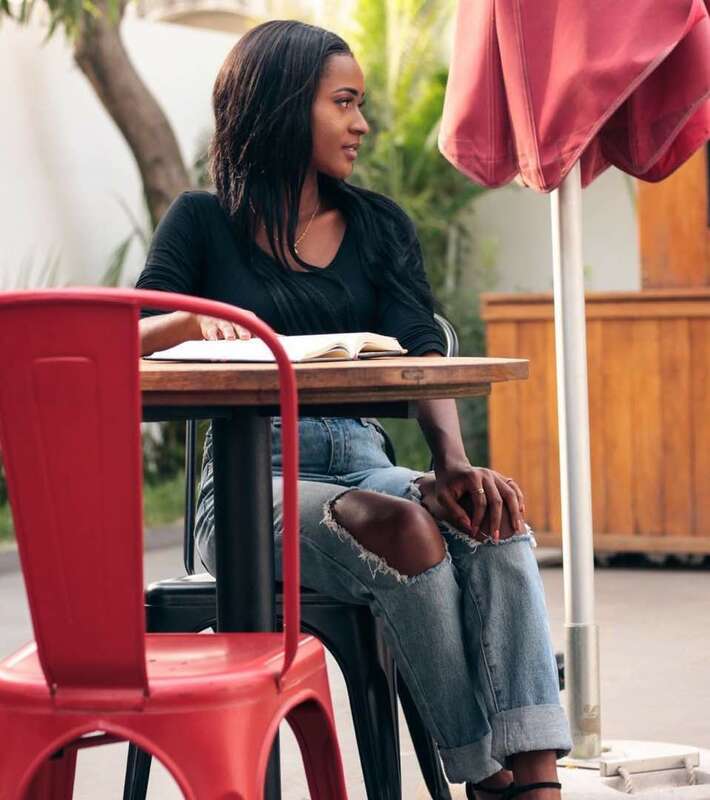 The young C.E.O who also runs Beaumonde Model Agency is a Legon alumna. She studied English, Psychology and Theater Arts at the University Of Ghana for her 1st Degree. She birthed her career path as a media personnel at Live Fm where she had her National Service at the EIB owned radio station. At that time, she had a 10-15 minutes health/beauty segment on the station. Lerny’s Goal: “To effectively communicate and execute my duties while staying my best authentic self”. Known in her career path as Settie, she hosts a segment dubbed “LIFE 101” with Regina Van-Helvert on “Touch Down Live”. She also hosts “Live Trends” with Jeshrun Okyere on Live Fm’s “Light On Live”. The 24-year-old also covers events for HYPE LENS AFRICA. If not on Tv/Radio, Settie is online as a blogger. Via her social media platforms and website, where she blogs about inspiration, love and lifestyle. Settie had a struggle finding her passion though she wanted to do something around communications. Knowing how shy she is, she was skeptical about any career around the media roller coaster as many also told her she can’t do Radio or Tv due to how calm and reserved she is. Despite it all, Settie gave it a shot when she joined University Of Ghana’s “Radio Universe” as a student in 3rd year who later had a B.A in Social Work from the school. From there she learnt how to speak on air, joined Live Fm for her National Service and now she’s in the list of “Top 10 Hot & Fast Rising Female Ghanaian Media Personalities”. Settie’s Goal: “My goal as a media personality is to magnify and celebrate humble beginnings; and to also be a living proof that hard work pays off”. Settie’s Favorite Quote: “you’ve got to be a beginner before you can be anything else”. 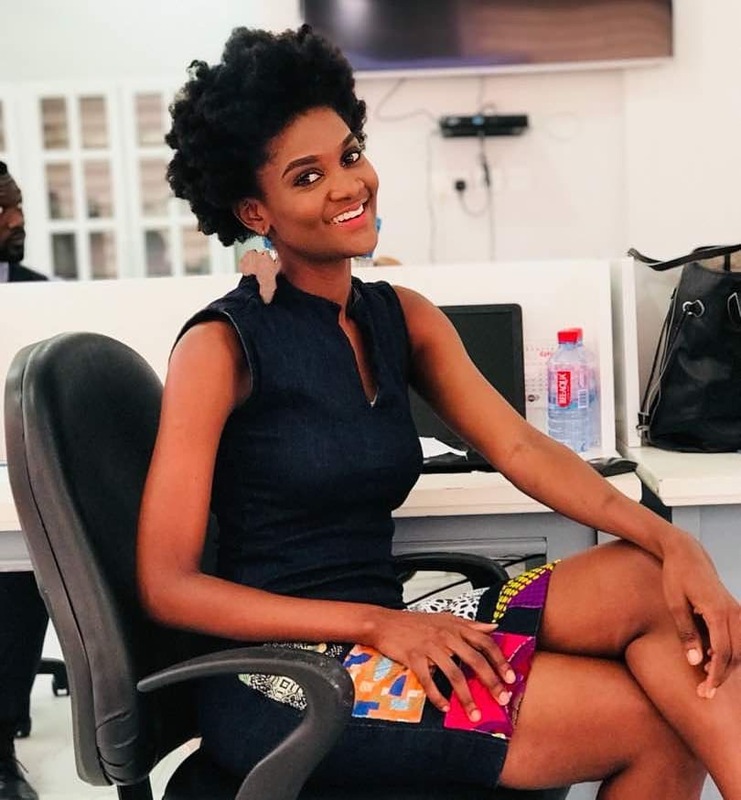 Just like her height which many admire, Fafali stands tall when it comes to counting the new faces on the Ghanaian Tv screens which have come to stay for a long time. The 19-year-old, hosted “Campus Base” a popular Campus Tv Show and has got a new gig in the pipeline. With just being around it all for a year now and fast getting a wider attention, Fafali is also ever ready to host your events and also be a voice over artist. 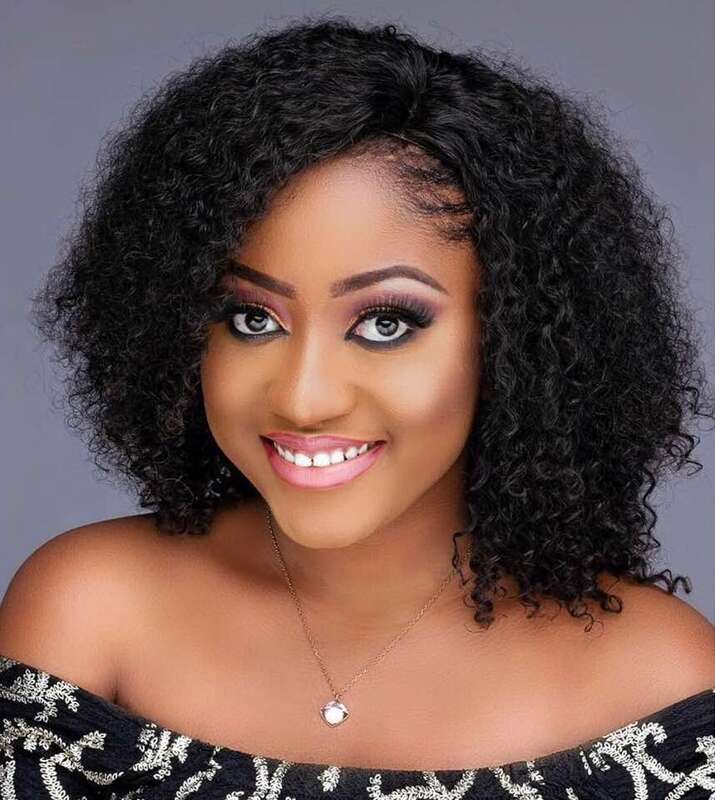 Her career as a media personnel started after a TMG TV ad on instagram asked for interested Tv presenters. Being it her dream career, she stepped out for it and she was given a rare chance which saw her killing her 1st trial on set and that’s it. Fafali who isn’t a model but loves taking photos is a 2nd year Theater Arts and Music student in the University of Ghana. Fafali’s Goal: “To be an influential person, a lady boss, fashion icon and to make an impact on young persons, mostly ladies”. Fafali’s Favourite Quote: “Shoot for the moon , even if you miss you’ll land among the stars”. The 21-year-old media enthusiast is one of Western Region’s finest young media personnel to ever listen to on radio or watch on Tv. Her apt at the media game is accordingly fetching her some National attention which has seen her in this hot list. Matilda hosts “Drive Entertainment” on the Empire Drive, a radio show on EIB’s Empire 102.7fm in Takoradi. She’s also the host of the web based “Vintage Tv show”. Matilda gained wider recognition with her talent when she hosted the red carpet session for Lydia Forson’s “Keteke” and Kofi Asamoah’s “John And John” Movie Premiers in Takoradi. Since then, Matilda takes pride as one of the best at hosting red carpet shows. Matilda’s Goal: “My goal as a media Personality is to touch lived and be a part of a great change or something Big”. 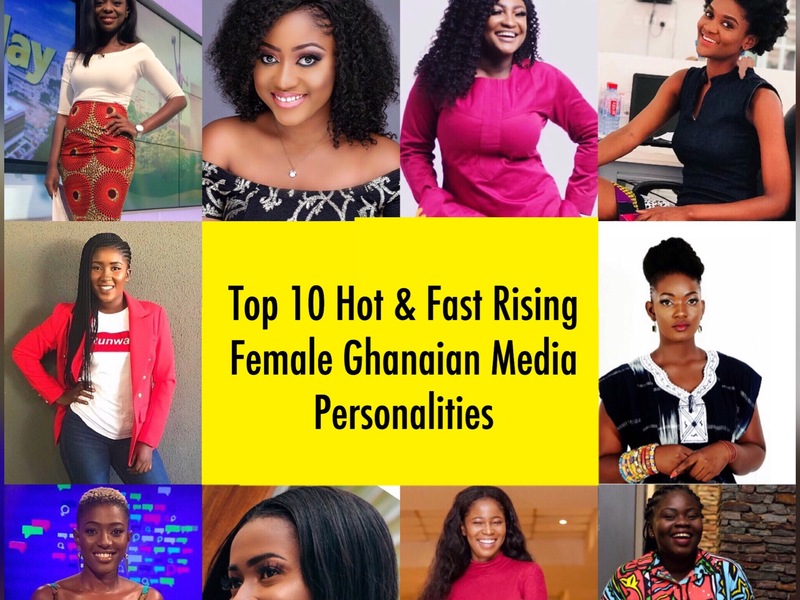 So Ladies and Gentlemen, these are your “Top 10 Hot And Fast Rising Female Ghanaian Media Personalities” who are in to dominate your airwaves and screens for a very long time. We wish them all the best. Kindly keep your eyes on our Instagram page as we show you audio-visuals of how excellent these ladies are when they get to the job. Also, watch out for the next “Top 10” feature.